The fruit growing from an evergreen tree that originated in the Mediterranean region and is now grown in warm climates throughout the world. 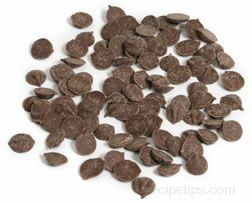 Carob fruit is actually a pod or a legume that is approximately 6 to 10 inches in length and dark brown in color. Edible as a pod, carob pods are pulverized into a powder that is used to make carob flour and carob products, such as carob chips. This fruit is a common substitute for chocolate in recipes using chocolate chips, cocoa or chocolate flavoring. Containing only a third of the calories of chocolate, carob is fat free and rich in sucrose and pectin.